Looking for a specific form? 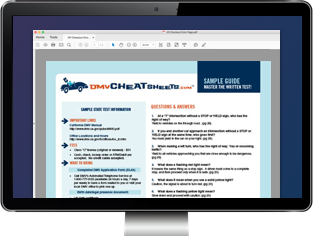 You may not have to visit the DMV to get it—instead see below for a library of downloadable forms provided by the Idaho Division of Motor Vehicles (DMV). You will need Adobe Reader to access these forms. You can also find Idaho motorcycle manuals and driver handbooks on our site. If you can't find or need help completing a form, call the Idaho DMV at (208) 334-4443 or visit your local DMV office branch. Apply for a new, replacement, OR corrected Social Security card. Request an extension on your ID driver's license OR identification card's expiration date. Request a replacement driver's license OR ID card from the Idaho Division of Motor Vehicles. Use this form to request reinstatement of your Idaho driver's license and pay the necessary reinstatement fee. Submit this form to voluntarily surrender your Idaho driver's license for insurance purposes, downgrade or remove an endorsement from your CDL, OR remove yourself as the liability signer for a minor with a driver's license. Request a replacement vehicle title from the ID Division of Motor Vehicles. Apply for personalized AND/OR special Idaho license plates. Order a sample (souvenir) license plate from the ID DMV. Order speciality license plates from the Idaho DMV. Use this form as a proof of sale when you transfer ownership of a vehicle in Idaho. Notify the DMV that you've transferred vehicle ownership out of your name so you aren't held responsible for the vehicle anymore. Medical exam form Idaho commercial driver's license applicants must submit to the DMV. Form must be completed by a doctor. Apply for military license plates with the Idaho DMV. Option to personalize your license plates. If you're an United States citizen currently living outside the country, use this form to register to vote AND/OR request an absentee ballot.